Named to : 22539 C.S. MJR. F.V. SPENCER. 13/CAN.INF. Frank Victor Spencer, a.k.a. Frank Abraham, was born in Lotler, near Southampton, Hampshire, England in 1885 and had prior service of 7 years in the Royal Garrison Artillery. His Occupation was listed as a Waiter when he attested at Valcartier Camp in September 1914. His papers list him as being "seriously wounded, burns, head and arms" on arrival at No. 2 General Hospital on the 28th September. It appears that he changed his name by statutory declaration in 1917 and married in England. He appears to of been attached to the Canadian contingent at the Paris Peace Conference in 1919. He died in 1971 in Surrey, England per ancestry. His citation (11/14/16, 12/23/16, P2083), reads "For conspicuous gallantry in action. 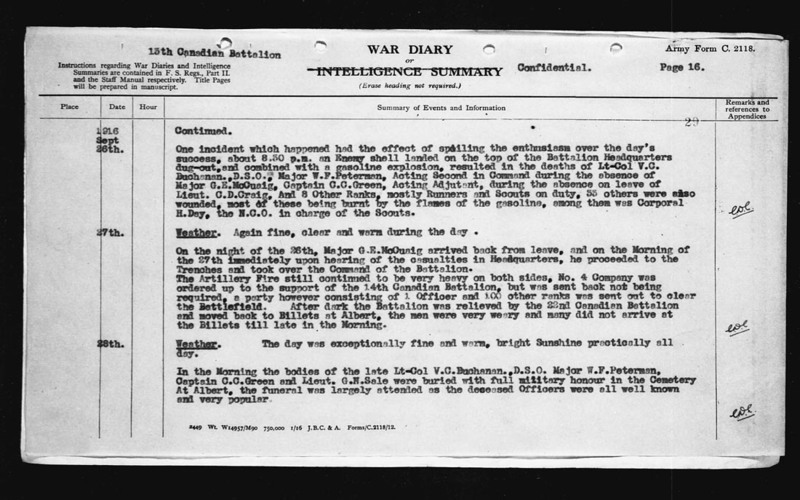 He assumed command of two platoons and held a most important position for four days under very heavy fire. He has on many previous occasions done fine work". Very Fine Condition. Minor edge knock.